Rice is one of the most significant crop of India .India is the world's largest producer of white rice.Being a tropical plant ,it flourishes well in hot and humid climate mainly prevailing in India.Rice cultivation in India contributes to the national economy and rice is a staple food in India especially in Eastern and Southern part of the country .The major rice growing states of India are West Bengal,Orissa,Bihar,Chattisgarh,Uttar Pradesh,Punjab,Andhra Pradesh and Tamil Nadu . 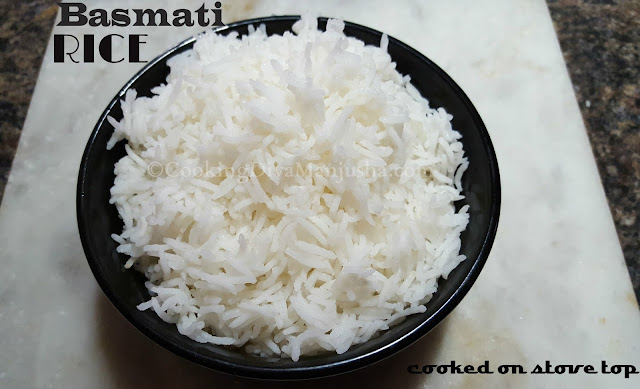 There are varieties of rices grown in India like Paddy rice,White rice,Polish rice,Puffed Rice and more.The one rice that is known for its peculiar aroma,texture ,taste and a pretty name is Basmati Rice,cultivated in Northern Punjab state of India and Pakistan .Basmati in Sanskrit literally means "fragrant". This rice was cultivated in India since centuries . Basmati rice is used extensively in Indian/Bangladeshi/Pakistani/Middle Eastern/Arab/Persian cuisines . 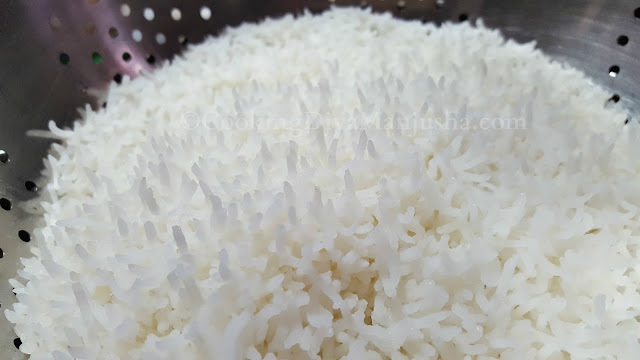 I LOVE basmati rice but if you ask me,I will call it an exotic rice , I personally don't feel basmati rice goes well with our traditional Kerala curries other than non-vegetarian curries (that too only egg,chicken or mutton recipes).However,when it comes to North Indian curries ,Basmati rice rocks. 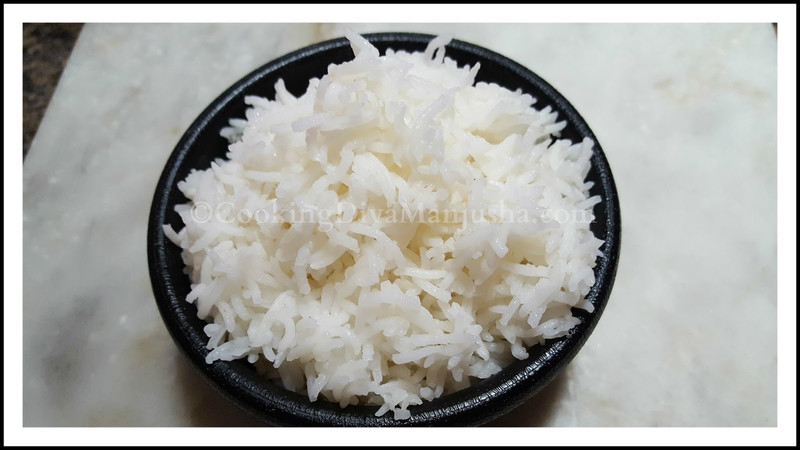 At my home,amma used to make Vegetable Pulao/Pulav with basmati rice mostly and mostly during special occasions only as we use our Kerala rice or any parboil rice for regular use.So,the aroma of Basmati rice gives me a special nostalgia as well. Basmati rice is quite healthy when compared to other rice . 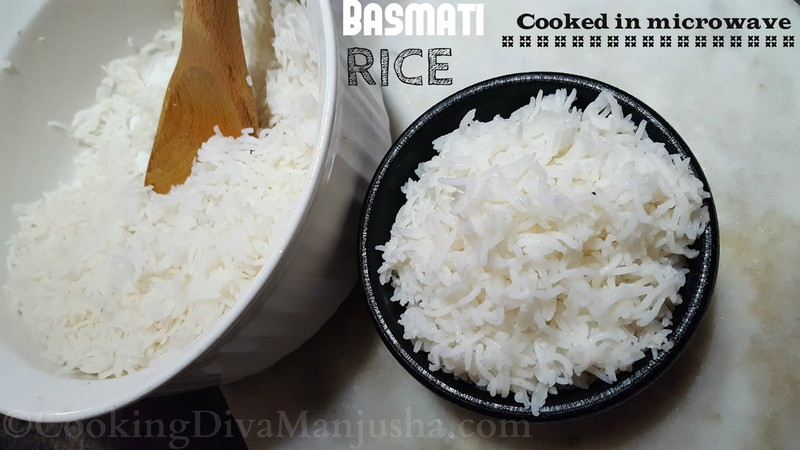 How is Basmati rice cooked ? 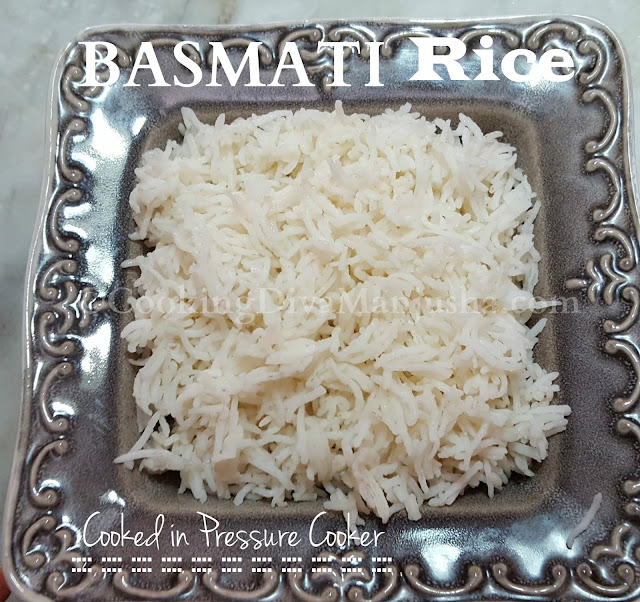 Preparation method of Basmati rice : The Basmati rice and water ratio are different for these three ways to cook Basmati.SO,please watch my video that will show you how to cook basmati rice perfectly at home. Wow,I always thought rice is not that good for health like has fattening effect ,but now I know,there is one pretty good rice,the basmati rice full of health benefits and controls weight as well .Being a Mallu/Keralite,Rice is our weakness and being partially North Indian,Basmati rice is exclusively my weakness as well especially with non-vegetarian curries.Now,I can cook and eat rice carefree ! Jai ho Baahishmati....oops Basmati ! 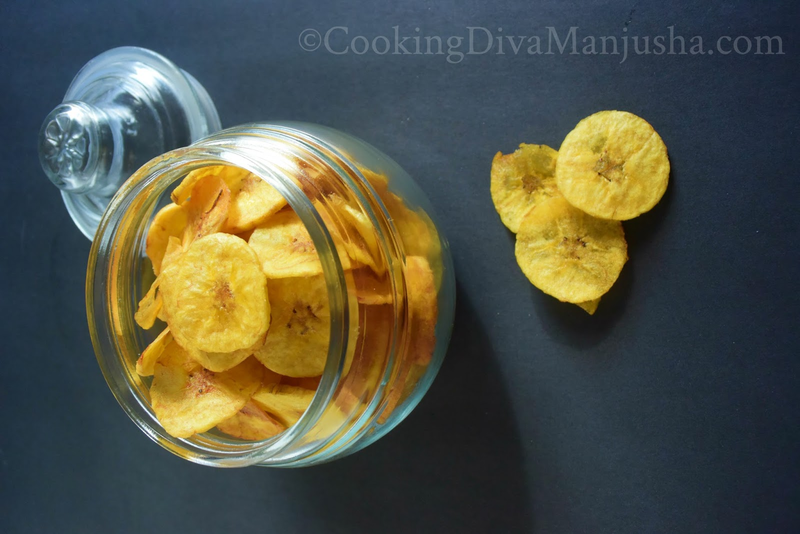 Meet the crispy,crunchy,munchy,the traditional,natural snack from Kerala - "Ethakka Upperi" or "Kaya Varathathu" meaning Banana chips Kerala style a.k.a Kerala special plantain chips.When the other parts of India are a huge fan of potato chips etc,every Keralite/Mallu crave for the simple Kerala Banana chips . Each and every banana chips made Kerala style screams "God's own chips !" 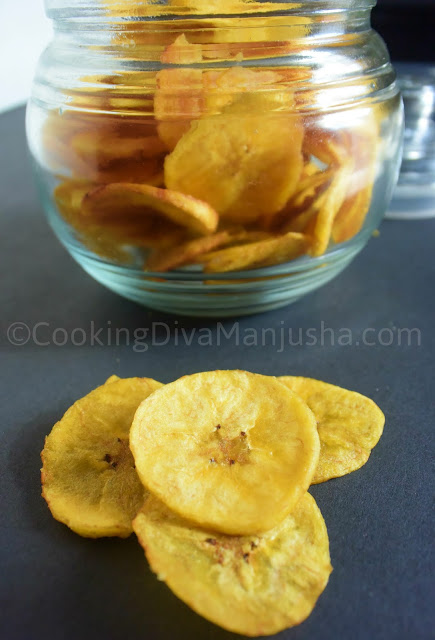 - every bite will remind you the plentiful banana trees swaying proud just like the coconut trees ,from home to home in Kerala and the aroma and taste of the banana chips traditionally fried in coconut oil will say its simBly nadan - traditional ! 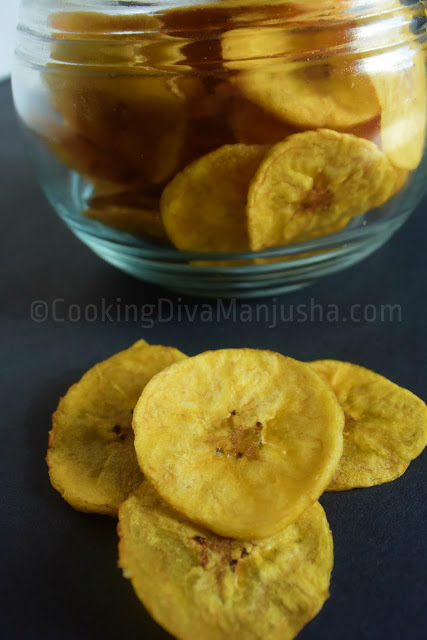 In Kerala, during olden days,almost every house prepared their own fresh batch of Banana chips during festivals mostly.Making Banana chips used to be a family affair then - some peeled the plantains,some sliced the plantains,some fried the plantains and hardly anyone could stop themselves from tasting the plantain chips ...Gone are those golden days,nowadays,these plantain chips are available in almost every convenience store or any supermarket .Tourist often confuse the chips in packets sold in roadside shops to be potato chips mostly, to be surprised later. 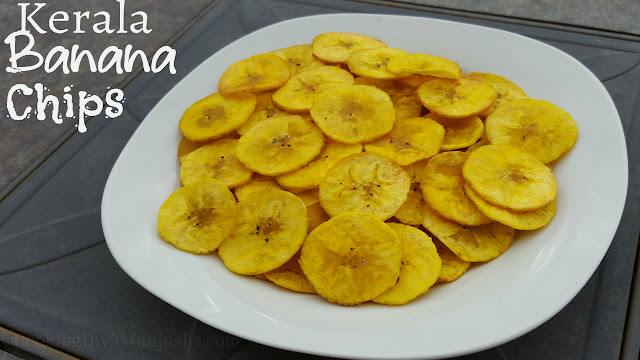 Even though the fresh banana chips are not that frequently made at home,it is very easy to make them with only a few ingredients . 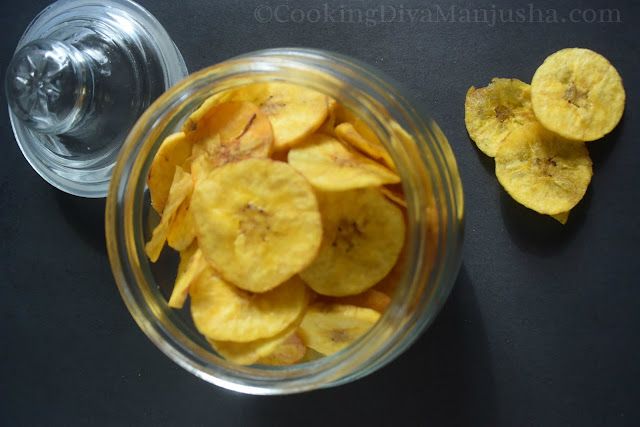 Did you ever think ,when Potato chips have famous brands like Pringles or Bingo or Lays and Nachos or Tortilla chips have brands like Cornitos and Doritos ,why our simple humble Banana chips from Kerala doesn't even have one ? If you ask me,I think that's because it is simBly nadan ,the brand "KERALA" all in all . Bhatura/Bhatoora/Batura/Batoora and chole/chana is my ever favorite food in the world and is loved by almost every Indian and in fact edible-y celebrated especially by North-West Indians the most.Chana Bhatura or chhole bhature is one of the famous food from North India especially Punjab and Delhi are proud bhaturians (oops there is no word like that,but there should be 😉😀 ,Punjabis and Delhiites are crazy about their obsession for bhaturas ). 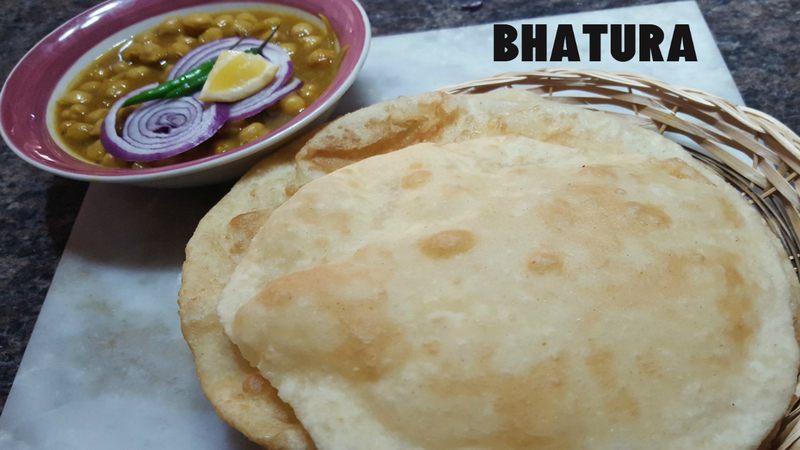 Bhatura originated from Punjab and is a rage in the capital city of India and all over the world by Indians. Bhatura is a puffy deep fried leavened Indian bread made with all purpose flour/maida or wheat flour or a combination of all purpose flour and wheat flour .A freshly fried puffy ,soft,little elastic,slightly crunchy bhatura served with its favorite companion,chana/chhole or spicy chick peas curry with little sliced onions,green chillies,lemon juice,pickle on the side is HEAVENLY (for me 💃😋). 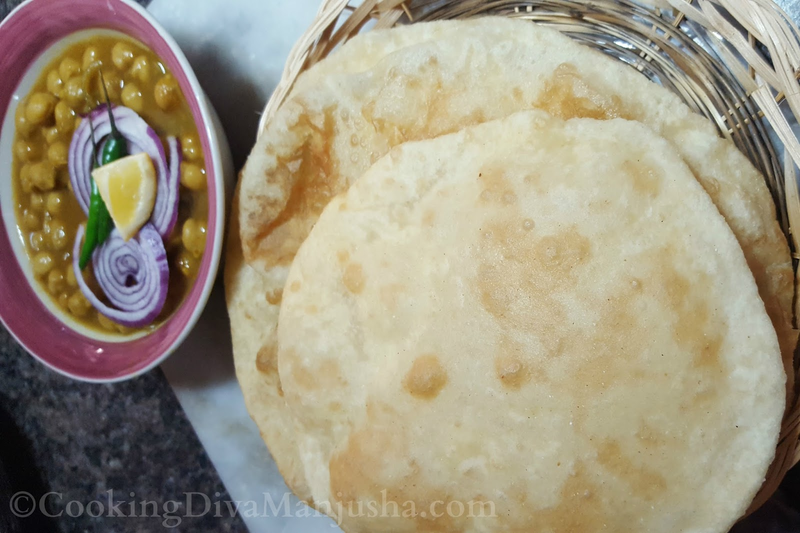 Chhola Bhatura can fall under a fast food or a street food and even a simple homely breakfast food item especially in North India .Whatever,it has become a quintessential must have food from North India. If you ask me to define bhatura in a few words ,I would call it the big bro ,you know,the bhai jaan of poori /puri - the big puri ,not as hard as Amrish Puri (Famous villain of Hindi cinema)(RIP sir!) but as a legend as Om Puri (the famous veteran actor of Hindi cinema)(RIP Sir!) .. 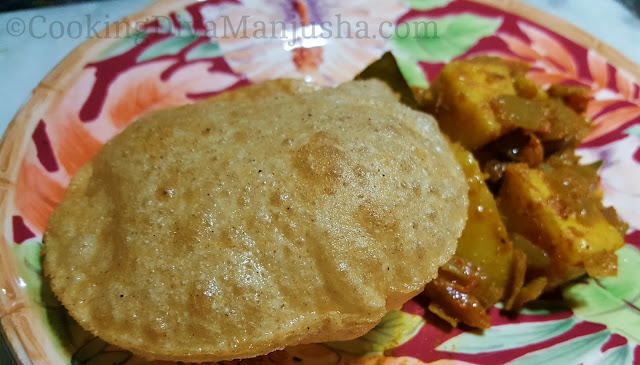 I love chola bhatura more than any Idli dosa . 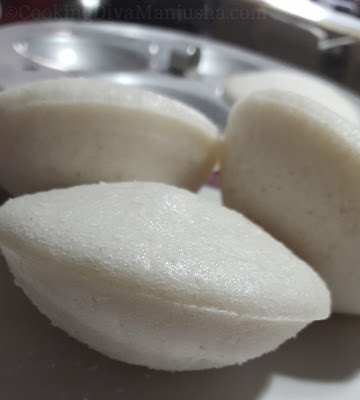 If you ask me ,which is the most bubbly,soft,cute,spongy food in the whole world ;My answer will always be "IDLI".Idli ; As pure as its white color and as soft by appearance and texture like a cute edible cotton ball. Idli is one of the most famous traditional food of South India but loved by every Indians and is definitely one of the unavoidable food from their daily menu (mostly) .In South India,Idli is a staple breakfast food item ,served with different kinds of chutneys and most popularly,with a lentil and vegetable mix curry called Sambar .Needless to say ,almost every Indian find Idli totally irresistible . Origin of Idli is tad controversial it seems.India's well-known food historian- K.T.Achaya says Idli must have been originated in Indonesia,a country with the longest ancient tradition of fermented foods in the world.The royal chefs of the Hindu Kings ruling the kingdom during that era,invented the fermented-steamed food - idli and later brought the recipe to India during 800-1200 C.E.He also mentioned in his book,"A historical dictionary of Indian Food",the famous Chinese Traveler ,Xuan Zang specifically emphasized that India did not have a steaming vessel up until the 7th Century . A fluffy fermented steamed food,Kedli from Indonesia was ,as a matter of fact, the precursor of Indian Idli. 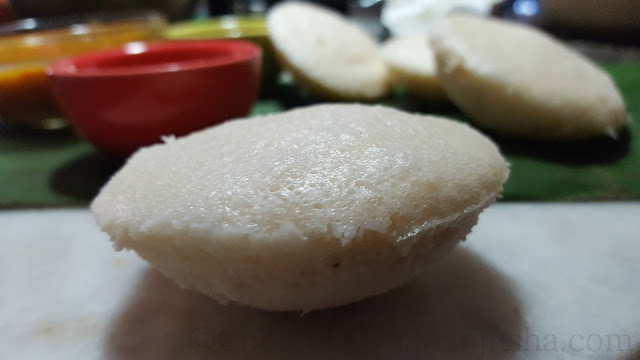 Other food Historians claim that the Arab traders in the Southern belt brought in the Idli recipe when they married and settled in those parts and an improvised and the now famous Idli recipe came into existence since 8th century..
Food historians also claim Idli was inspired and derived from a few similar fermented-steamed foods originated in India - such as a food from Karnataka called "Iddalige" or "Iddarika" ,"Itali" from Tamil Nadu and similarly from a Gujarati food called " Idari" or "Idada"..All of them are fermented steamed food though the recipe may differ from the original Idli's recipe used today. Tatte idli - A small plate size idli from the state of Karnataka. 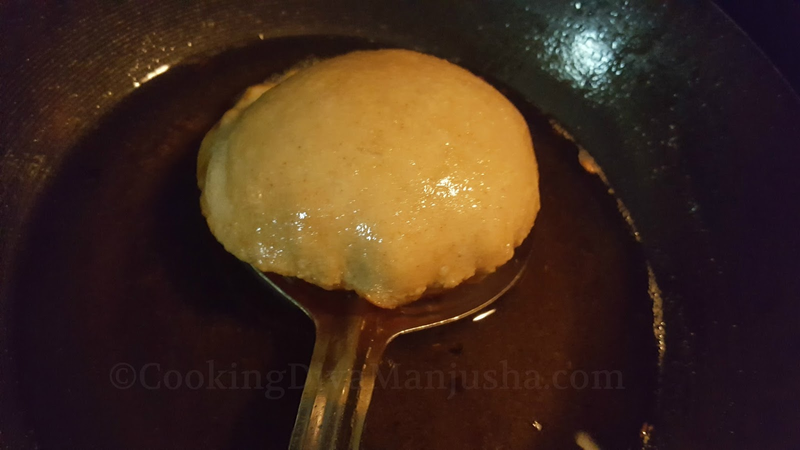 Mini Sambar Idli - Mini Idli dunked in sambar . 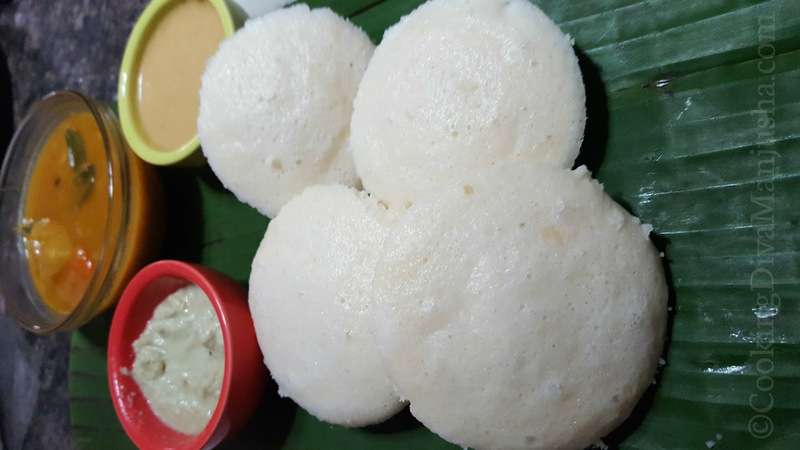 Muday Idli - A type of Idli from Mangalore. Sanna(s) - A type of Idli from Goa. Combination of rice and black lentils makes it a great combo of carbohydrates ,fiber and proteins. 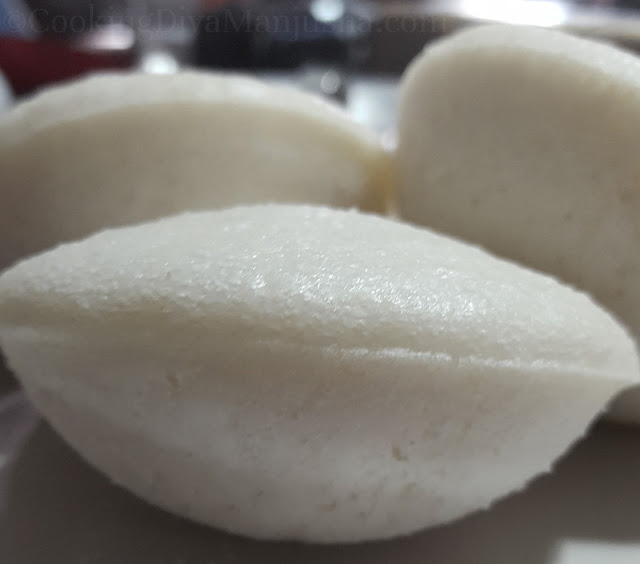 The natural fermentation of the idli batter increases the bio-availability of the proteins meaning makes it quick and easy absorbing and digestion in the body and enhances the Vitamin B content of the Idli as well. 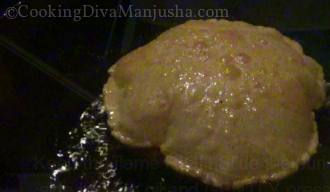 As they are steamed,Idlis have very low fat . Iddly have little amount of Iron,calcium,folate,Vitamin A and Vitamin B in it as well. Idli is not spicy by itself ,so good for people who hate spicy food . Easy to digest and flush out from the body. Idli is good for weight loss ; So,a new trend/fad diet called Idli diet is on, which claims to help in losing weight healthily. 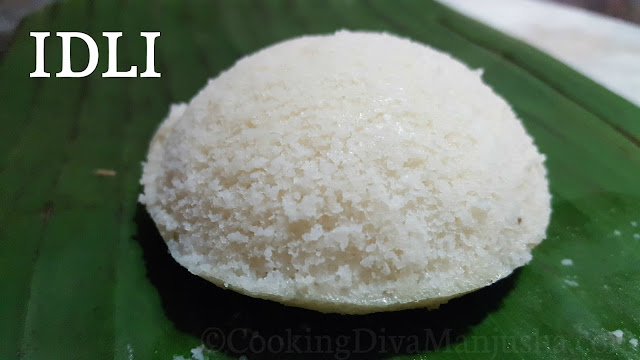 How Idli is prepared ? 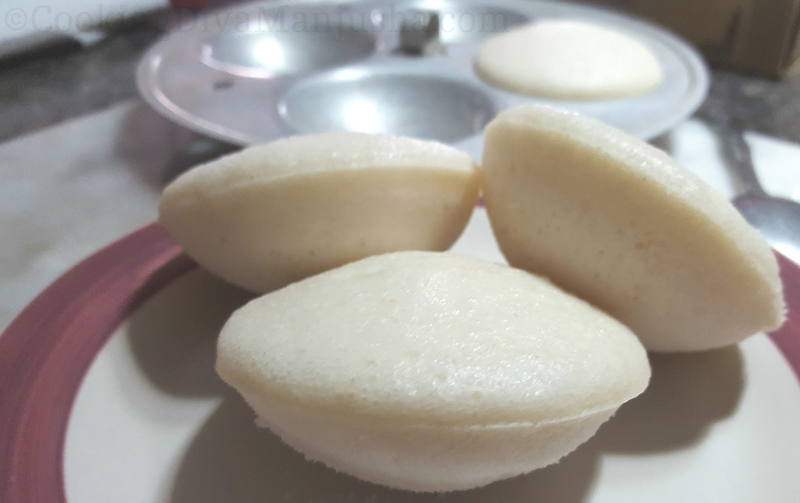 Idli is prepared using a special Idli maker/Idli Cooker which has two trays or plates inside of it called Idli plates or Idli trays and each Idli tray has four or more mini bowl shape moulds in it for preparing idli evenly. 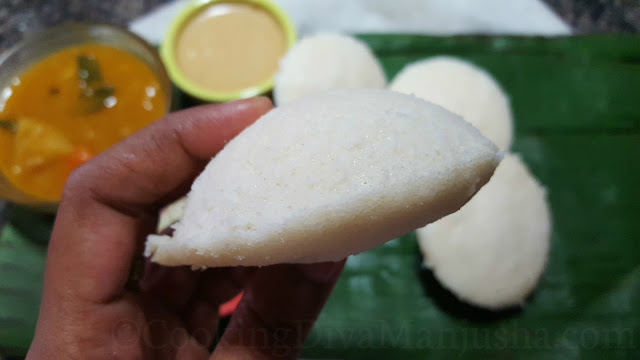 A good idli is made with a good fermented idli batter.Idli is steamed and prepared in idli makers ,sometimes the idli trays can even fit into a pressure cooker or nowadays,even microwave version are also available for making idlis . 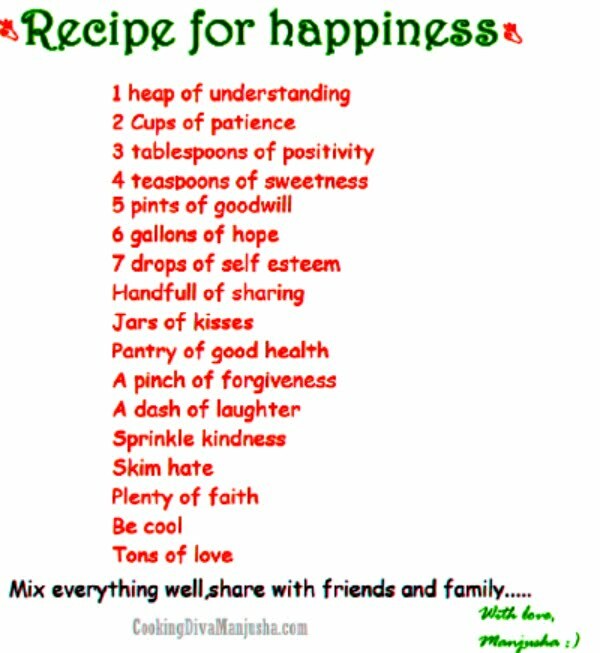 What are the ingredients for making idli ? 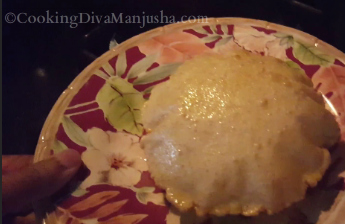 How to make soft , fluffy and spongy Idli without using any Idli rice - Pls watch my video that will show you step by step how to make soft and fluffy Idli without using any idli rice or any hard and fast rules and not one but in THREE ways . 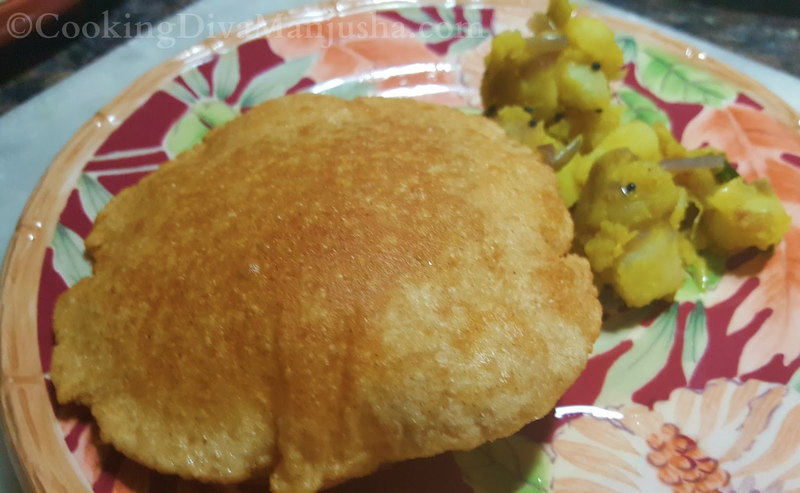 Puri or poori is a very popular, easy to make, unleavened deep fried Indian bread which is served as a breakfast or a light snack or as an offering to God during Hindu festivals.Puri or poori or pudi is made in almost every state in India and is famous in every state except South India. Puri is derived from the sanskrit word "Purika" meaning filled .In some parts of the India,puri are made with filling and deeply fried .In West Bengal and Odisha,they are also known as luchi ,in Assam they are known by Lusi.In Uttar Pradesh,they have another twin sibling called "Bedvi".Southern part of India prefers to call them puri or poori and Northern part of India may call them "pudi". Well, there are some tips and tricks to make perfect soft puffy poori at home and even today if I don't follow those secrets to make puffy poori ,my pooris may not become puffy ,but my face would for sure ->😯.However,pooris are pretty forgiving,meaning just because it didn't become fluffy doesn't mean it is not edible anymore or no one can eat.It doesn't have to be puffy for sure ,it should be deeply fried,that will be good enough. 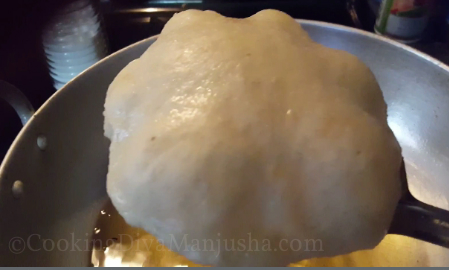 In fact,poori reminds me my golden childhood days in North India :))..
How to make Poori method - Pls watch my super quick video that will guide you step by step how to make puffy/fluffy poori recipe without fail . Serve poori with any curry of your choice.It goes really well with potato dish but it is very adjusting and just becomes tad more tasty regardless.Watch my poori video you will become a poori pro for sure and don't worry if you don't become one at first try,but you will one day,but my poori youtube video will be always there to guide you the secrets to make a puffy fluffy poori properly . 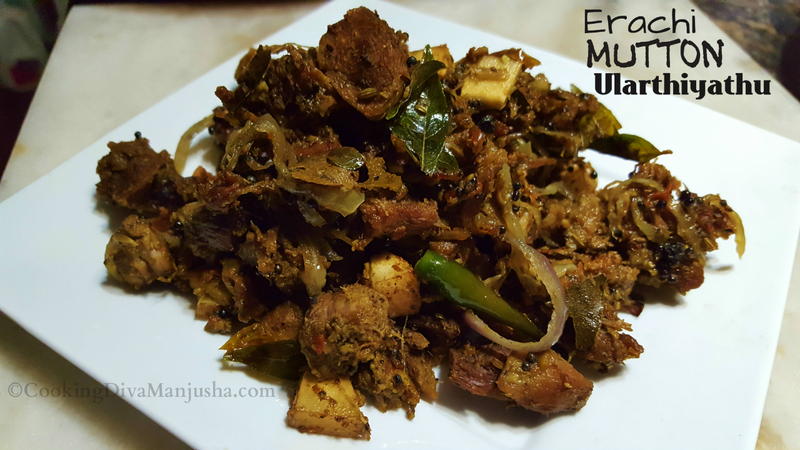 Erachi Ularthiyathu is a classic dry meat preparation especially a speciality among Chirstian Malayalaees .Erachi in Malayalam means meat and ularthiyathu or ularth or olath or olathiyathu means roasted or dry meat prepared with an array of Indian spices and more. 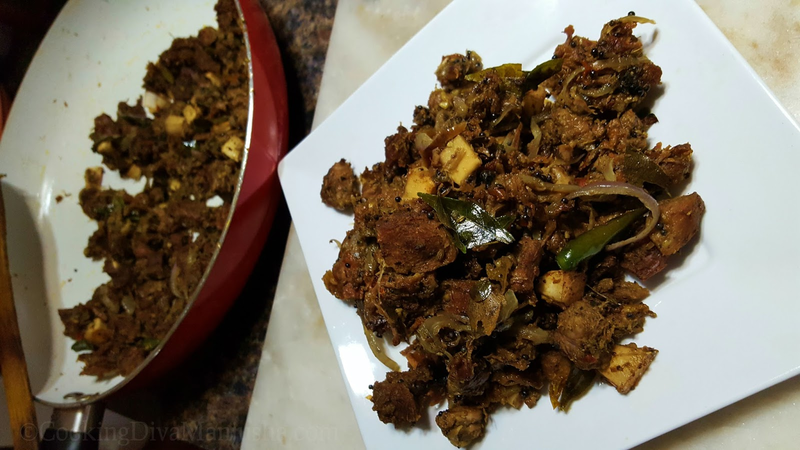 Usually ,Beef olathiyathu/ularthiyathu (Kerala Beef Fry) or Nadan Panniyearchi Ularthiyathu (Kerala Style Pork Fry ) are the most famous and sought after spicy meat recipes from Christian community of Kerala especially Kottayam,where Kottayam special erachi ularthiyathu is considered as one of the most never-miss delicious meat recipe one must enjoy in Kerala for sure,if you are a non-vegetarian /meat lover . Being a Hindu,since we consider cow sacred,we don't prepare any beef recipes at home .Even I don't prepare beef ularthiyathu at home for that matter .However,I have tasted Kerala beef fry during my college days and I used to stay in a hostel run by Christians and their menu used to be exclusively Kerala Christian recipes and since it was hostel ,hardly any food used to taste good except this beef fry ,which I realized later and I must say I loved it. Kerala beef fry is damn spicy and finger licking for sure.During those days, it was a matter of survival and ironically, beef ularthiyathu is one of my best food memory from my hostel days . 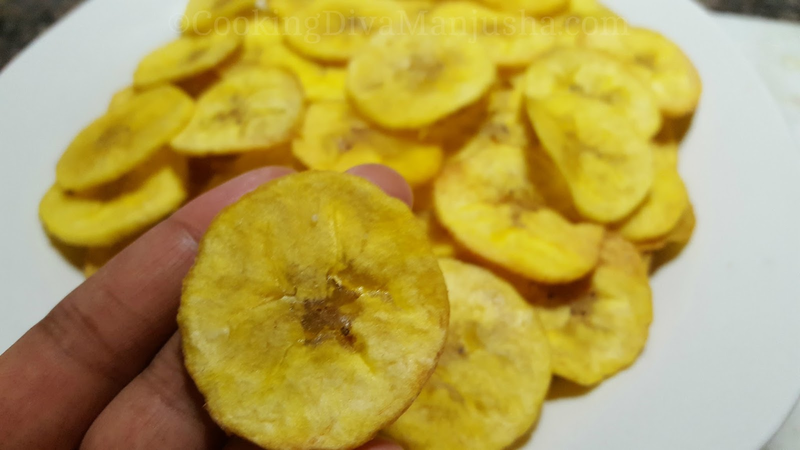 I have so many Christian friends who are amazing cooks ,who have always shared their exclusive beef fry ,even Kerala Pork fry with us and I wouldn't disappoint their hospitality and the effort they took to prepare those time consuming meat preparation in a typical Kerala traditional/nadan style and had several opportunities to savor those Kerala nadan erachi ularthiyathu time and again . Well,though we don't prepare beef or pork recipes at home ,we do make chicken and mutton recipes at home for sure ,occasionally. So,inspired by one of my Christian friend's Kerala beef fry recipe,I tried to recreate ,Mutton fry Kerala style that is Mutton ularthiyathu/Mutton Olathiyathu recipe. Onion ,big,Sliced - 1 No. If you are a non-vegetarian ,you must try this spicy mutton recipe from my place,Kerala .This Mutton recipe goes well with any roti,chapathi,rice,appam,idiyappam or just anything and you will be tempted to eat it just by itself ..mmmmmm.....YUM! Pure as white,filled with softness in the center,crispy yet lace-y at the edges that is Appam (അപ്പം). Appam is another famous traditional breakfast item from South India especially Kerala and Tamil Nadu.Appam ,also known as Vellayappam meaning white appam or Palappam meaning appam made with pal/thenga pal,that is coconut milk, is a kind of pancake made with fermented rice and coconut batter . 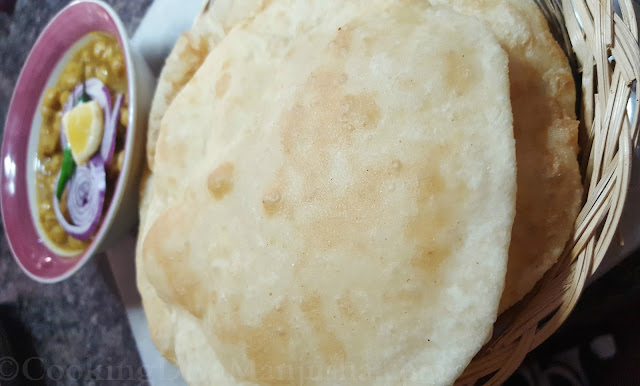 Appam is a staple food item in God's own country,Kerala and is tad more special in Syrian Christian community usually served with spicy non-vegetarian curries . 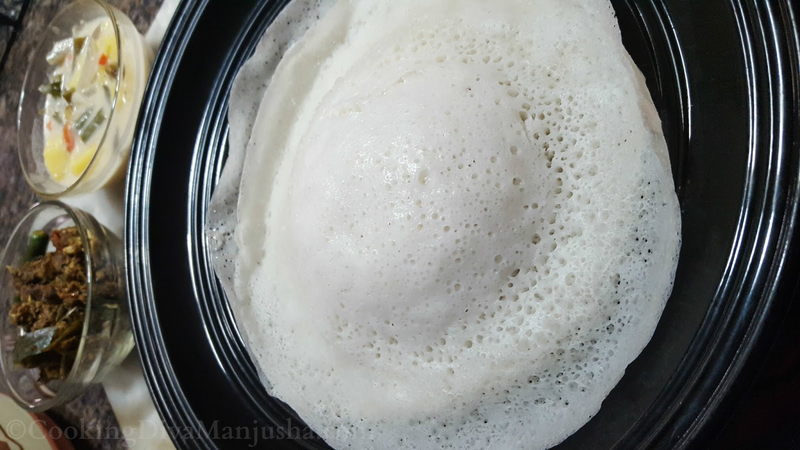 Appam also falls in that category of classic food (nadan food ) in Kerala that boasts of the abundance and the significance of rice and coconut in the state ; The main ingredients of appam. 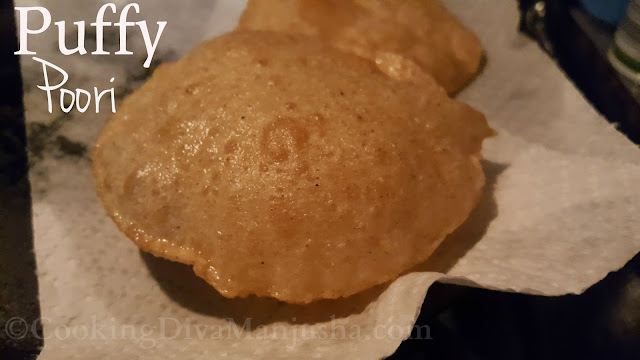 Kerala Appam are easy to prepare .However,there are some tricks and tips to make fluffy and spongy appam at home .Making Appam is an art by itself ! For making appam,special exclusive pan is used to make them ,called "appachatti" a.k.a appam maker.They are fun to make and fun to eat . 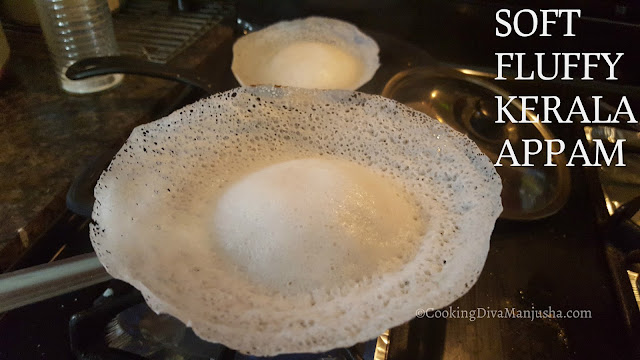 Preparation method of Appam batter and appam:Please watch my video that will show you step by step my secrets to make soft and fluffy Appam at home and the right way to make the Appam batter for making appam my way. These appams are so featherlight and spongy that they will make you a die hard Appam lover and you will be so gentle and tender to handle them that you won't feel like holding them, fearing if you will break them apart or eating them(Read:hurting) for that matter and once you become emotionally detached somehow ,you can't just eat one ! Oh, they are a pure bliss darling !